The cost parameters are supported on Activities, resources and processes. 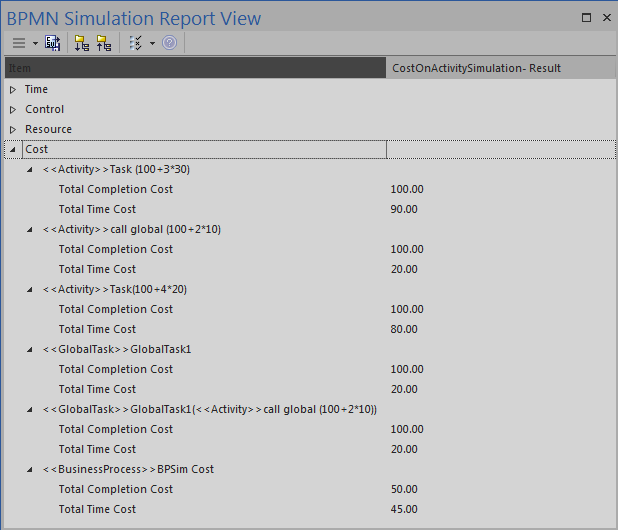 Those costs that are known without the need for simulation - for example, overall labor employment costs - are not supported by BPSim. 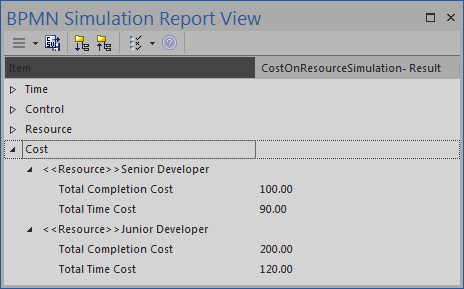 In this topic, we discuss two examples that demonstrate the configuration and simulation of cost parameters. Create a Business Process Simulation configuration Artifact in the diagram, right-click on it and select the 'Configure BPSim' option, then set the configuration to link to the Package containing the BPMN model elements and configure these BPSim parameters as indicated. This Time Unit is used to calculate the Time Cost (Time cost = Unit Cost * Time), so make sure the Unit Cost is based on the correct Time Unit. On the left side of the dialog, expand the 'Activities' group. This Time Unit is used to calculate the Time Cost (Time cost = Unit Cost * Time), so make sure that the Unit Cost is based on the correct Time Unit. On the left of the dialog, expand the 'Resource' group.